Tutoring Club of Jacksonville will help your child on their way to success regardless of their skill level. Whether your student needs help with the fundamentals, math, reading, writing, or even SAT & ACT Prep, our tutors will get them pointed in the right direction with all the guidance they need. Our individualized approach targets your student's weak points and improves them, bringing their ability up to the set goals. By covering key points at the student's own pace, we allow them to flourish and learn at a stimulating and rewarding rate. Did you know that over our summer vacation we can lose 30% to 50% of what we learned during the school year? This is the very thing that parents and schools routinely do over summer vacation. For elementary and middle school students, Summer can be a great time to hone or strengthen their skills with programs like TC Math, TC Reading and TC Writing. High school students can get a chance to get ahead of their classmates by taking course previews of A.P. classes such as biology, calculus, chemistry and physics over the Summer. Finally, for those students who are looking to take a college entrance exam this Fall, it is highly recommended that they take a TC SAT or ACT test preparation program. Without practice, how can you expect to do well on your SAT or ACT? 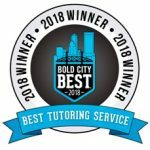 In Jacksonville, it can sometimes be difficult to find a good tutor that can help a student with their homework and prepare for tests in a constructive manner. At the Tutoring Club of Jacksonville we pride ourselves on choosing and thoroughly vetting only the best tutors. These tutors are experienced and knowledgeable in their skill areas and can provide vital assistance to your student whether they are struggling with particular homework problems, needing a refresher before a test, or just wants to get more practice in before a final. If you have a student that is getting ready for college, we are no strangers to preparing soon-to-be freshmen with the knowledge that they need to succeed in the busy and challenging life of college with our College Prep Program. 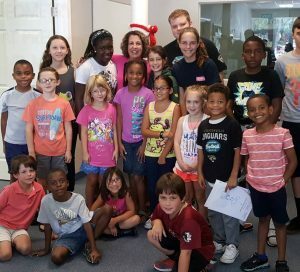 Jacksonville Tutoring Club has skilled tutors, many of which have degrees or other experience in their areas. Tutoring club was integral in helping my daughters in getting the scores that has gotten admission to every school of their choice. Dana & her accomplished tutors has a well thought out process where they establish the student's strengths & gaps, charts out a game plan on how to reinforce and fill those. The prep work they make the students go through with practice tests helps them make the strategic adjustments during the tests that has resulted in the success. I would highly recommend the services of Dana & her staff. I have noticed a great improvement with Kami and you guys at Tutoring Club did an outstanding job with my son Kaleb when he was there. The people who work there are sweet and they care for the children and they show they care. Thanks for all your help. Get a half-price deal on a Reading and Math Diagnostic Test! Both tests for $75.00!